With victories in two out of the three Grand Tours in 2010, a smashing debut season from Peter Sagan, and no apparent doping investigations on the horizon, the future looks exceedingly bright for the team of Roberto Amadio. Earlier, it was announced that Liquigas would stay with the team for another two years, and today, the Liquigas team announced more good news - team bike sponsor, Cannondale, has signed on to be the co-sponsor of the Italian ProTour team in 2011. Liquigas manager, Roberto Amadio, was pleased to deliver the news of the co-sponsorship agreement with the Northeastern US-based company. "In recent years, Liquigas and Cannondale Sport have enjoyed a relationship that has gone beyond that which exists between a team and it's bicycle supplier. Cannondale has always allowed us to compete with a great product, as well as meeting all of our needs. For 2011, we will make a further leap in quality, building together a team able to remain among the best in the world in terms of results and organizational structure. We are ready to face this new challenge with the desire to make our mark in the present and the future." Likewise, Cannondale general manager, Bob Burbank, was pleased to increase the support in the team that the American manufacturer has supported since 2006. "Cannondale has competition in its DNA and Liquigas Sport has proved the ideal partner for our sport. The challenges met by the athletes of the blue and green, including Ivan Basso, Vincenzo Nibali, and Peter Sagan, riding Cannondale SuperSix Hi-Mod bikes is the best representation of our daily effort to design bicycles. With the birth of the Liquigas-Cannondale team, we will work more closely with the riders to get that feedback essential for the development of our products. We will offer our full support to the team to remain at the top of world cycling." Even better for the soon to be Liquigas-Cannondale team, 2010 co-sponsor, Doimo, an Italian furniture company, will stay on as well as a sponsor. "The relationship between the team and Doimo will continue. We are delighted that such an important brand has decided to stay with us. Since the beginning of our adventure, the Doimo Group has always believed in the goodness of our work - we take pride in continuing to share their passion for cycling." 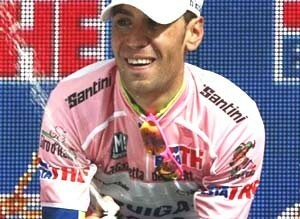 2011 could prove to be Liquigas's biggest year yet. 25 year old, Vincenzo Nibali, stormed to overall victory at the recently completed Vuelta a Espana, while Ivan Basso netted his second career Giro d'Italia win in May, and young Peter Sagan showed impressive promise in his debut season.